Some people frown on Pokémon Go hunts in historic areas, but a new FCC ruling could make it even more tempting to risk a glare and a wagging finger. On Monday, the U.S. Federal Communications Commission announced a deal to made it easier for mobile operators and building owners to install cellular gear on many old buildings, including some in historic districts. Just because those structures may evoke the past doesn’t mean they can’t have the screaming 5G wireless speeds of the future. While some see online addictions like Pokémon Go as intrusions on the spirit of historic sites, smaller cells are actually making it easier to sneak networks into places where network gear used to look out of place. Now equipment is so compact that the agency is lifting some regulations on where it can go. The changes are the result of a deal between the FCC and two historic preservation groups. Among other things, mounting a small cell on a building more than 45 years old won’t require a historic review unless the building has been named a historic property or is in a historic district. A building inside a historic district may also get a break in some cases unless it's a National Historic Landmark. Rules have also been changed for DAS (distributed antenna systems), the linked antennas used in many buildings to boost indoor coverage. 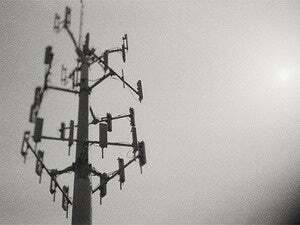 As much as consumers like a good cell signal, some say the equipment that delivers it is unsightly. That’s why there are myriad federal, state and local rules for getting permission to put up wireless gear. Now, the desire for more data capacity is converging with the urge to keep cell equipment out of sight. More and smaller cells can provide better performance than a few larger ones that need to cover whole neighborhoods. Separating components like antennas and base stations is also helping to make mobile networks less obvious. Small cells are part of what will make 5G work. The next big cellular standard, due for completion by 2020, will have to serve more users with more data-hungry applications. Some 5G small cells will even use new, higher frequencies that are especially well suited to going short distances. CTIA, the main trade group for U.S. mobile operators, wants the rules for mounting cell equipment to be even more streamlined.